Lunarpages was lunched in 1998 and have since established themselves as a global web hosting provider. 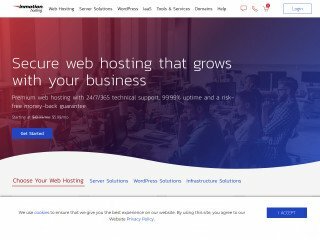 Today, they are known as a provider of innovative and accessible web hosting solutions for established industry leaders, small businesses and individuals. LunarPages create and manage integrated and effective hosting tools that successfully support every level of webmaster and optimizing their projects effortlessly, elegantly and intelligently. Consistently honored as an industry leader, Lunarpages provides friendly 24/7/365 support, an exceptional team of technicians, as well as top-tier hardware. In addition to award-winning service and technical assistance, their on-demand Web Hosting Options offer you everything you need to launch your site, while our Managed Solutions assure that your operation runs smoothly, receives daily care and consistently outperforms the competition. Here at Web Hosting Geeks, we’ve been taking a different tact lately. You see, we consider it our sworn duty to deliver you the latest and greatest news from the world of web hosting. As such, we make a point to write up thick articles on the newest technology, the scams you aught to know about, and the hosting providers that everyone should have on their list. However, lately we’ve been doing something different: We’ve been scouring the Internet for smaller, lesser-known hosting providers with A-Game services and rock-solid performance. Then, we bring you a detailed review of those hosts. Lunarpages was launched back in 1998 as an enterprise-level IT solutions company and global web hosting provider. Today, they continue to push boundaries on both fronts. They’re based out of California, but they also maintain and use data centers based in Arizona and Nevada. Their 100+ top tier staff members service and support a network of 150,000 clients—and growing! That’s a lot of clients, and the fact that their client roster does not number in the millions is actually a good sign in our eyes: Lunarpages is no mom and pop operation, but with a small, high-quality network of employees serving an industry-competitive network of clients, you can rest assured that the customer service you’ll receive will be top-notch. First out of the box, Lunarpages claims to have a unique dedication and focus on exceptional redundancy and technical hardware, which is always a good thing in our eyes. They have a network of four, peerless and housed data centers to draw from, which also strikes us as an important boon. These data centers are located in California, Nevada, and Arizona. All of these run using a SAS 70 Type II compliant hardware set, and offer fully redundant power systems with diesel generators. They also feature multitiered reliably security services, ensuring that your data is safe in their hands. Their San Dieogo-based AIS building is also of particular note. It features a Teir 4 certified, 80,000 square foot complex, clocking in as one of the biggest and most secure data center locations on the planet. Combined with all of the other hardware locations that Lunarpages has at their disposal, we feel one could easily obtain a quality service recommendation from the company. And if you’re looking for a provider that offers a true-blue dedication to security and performance, it appears that Lunarpages will fit the bill nicely. Up until now, we’ve mostly been talking about who Lunarpages is as a company, as well as what sort of service they can provide based on the hardware and network that lies just under the bonnet. However, we have yet to mention anything specific about the types of hosting plans they offer, or even the prices that you can expect to pay to obtain the true Lunarpages experience. That’s going to change, though, and starting now! To view a full rundown of every hosting plan that Lunarpages can throw at you, one needs only to keep reading down below the break. So without further ado, let’s dive into the thing, starting with the humble personal shared hosting plan. Within this hosting plan, Lunarpages has done away with the complicated tier pricing scheme that we see so many other hosts using. We’re particularly thankful for this, as we think bombarding a new customer with a huge list of services and price ranges is simply too verbose for the common need. As such, Lunarpages makes things infinitely simpler by offering a flat rate with contract-based discounts. Good on you, lads! Now, onto the features! If you’re looking for an industry competitive hosting experience, you’ll certainly find it here with Lunarpages.  Right out of the box, Lunarpages immediately signals who the plan is for, and we feel they’re spot on: If you’re a small business owner, a blogger, or just a person in need of an email tagged with your personal domain name, you’re in the right place. The Basic Hosting plan comes with unlimited storage and bandwidth, as well as eMail accounts to get you going on the right track. Not only that, but set-up fees are waived, as is domain registration for the first year. After that, though, you will need to pay to keep the domain name alive: There’s no free-for-life domain name registration here with Lunarpages, but that’s hardly a dealbreaker in our eyes. When it comes to additional features, we like the fact that Lunarpages has a custom-compiled script library for you to draw from. This massive library includes a lot of the most popular software and tools that you can use to quickly and effectively create an eCommerce site for your business, or been just a personal blog. Lunarpages will also give you $25 Facebook and $50 Google Adwords credit just for signing up! That seems particularly generous to us, and to top it all off, you’ll also get unlimited FTP accounts, parked domains, sub-domains, add-on domains, MySQL databases, and the aforementioned storage and bandwidth. All in all, the basic hosting plan offered by Lunarpages seems to be a solid way to go, at least on paper. But what if a shared hosting plan just isn’t going to cut it for your needs? What if you need a little additional power under the hood to meet the demands of your consumers, as well as your sheer traffic. If so, then Lunarpages has your back all of the way, via their Business Hosting Plan. This plan starts at $19.95 a month with the same lack of a tiered scheme which we lauded in the personal shared hosting plan. The plan is stated to be ideal for those who have a start-up company, an established business, a personal site with very complex needs, or a growing company that needs more breathing room in their hosting. The plan is also ideal for businesses that need Windows-supported emailing, which is often the case with some of our clients. But what sort of services will you really be getting here with Lunarpages’ Business Hosting plan? As with the personal hosting plan, you’ll get the same (nearly) unlimited everything: This includes bandwidth, storage, MySQL databases, add-on domains, sub-domains, etc. You’ll also get the same advertising credits and extensive script library to help you flesh-out your site with popular software. However, the additional perks are what make the plan worth considering. With the Business Hosting Plan, you’ll also get 3 registered domain names, 1 dedicated IP address, an instant SSL Certificate, a 30-day money back guarantee, and SecureLive Website Protection. You’ll also get an entire host of additional softwares and platforms to make setting up your online business that bit easier. All in all, we have to say that the plan itself looks rather swell: It comes loaded with standard support for popular softwares, a good price, and even a full retinue of additional items to help get you off the ground. And, of course, you’ll also benefit from the same 24×7 technical support that all Lunarpages accounts come loaded with. At this point, we’ve largely been talking about the same technology: A personal shared hosting account versus one that has been optimized for larger business use. However, Lunarpages also offers additional options that will help you out if those aforementioned plans are simply to paltry to meet your needs. If you’re in that category, and have the budget to spend on better hosting, there’s always the Linux & Windows VPS Hosting plan. This is, of course, a virtual private server hosting network produced by Lunarpages to bring you even more power, storage, and performance where you need it. At this point, we are going to start seeing some tiered pricing plans, but with good cause. And of course, these plans are recommended for those who are site developers, as well as Linux and Windows users. That goes without saying, though, so let’s give you a breakdown of the features you’ll get with this plan! If you’re looking for a more traditional virtual private server hosting experience, Lunarpages offers what they call the Parallels VPS experience: This obviously uses Parallels to create virtual desktops for their clients. This is a powerful way to go, and it comes in Linux and Windows variants. The pricing differences between these to are pretty remarkable, though: For Linux you’ll be paying $44.95 a month, while Windows will cost you $59.95. With both of these you’ll get a heck of a lot of memory and disc space, as well as a generous 1000 gigabytes bandwidth allowance. However, Lunarpages also offers what’s called the Xen Cloud VPS experience. This is a platform that creates individual, cloud-based bubbles that are independent of their hardware. This means you can add updates regardless of the core system, create modifications that wouldn’t otherwise be possible, and get a lot more performance for your money. However, the price is also higher. The lowest price tag comes with the Linux Pro edition, which will run you $57.95 a month. For Windows you’ll be paying $75.95 a month. Also, you’ll get about twice as much hardware allowance to work with than with the Parallels edition of the VPS Lunarpages experience. So all in all, if you need the utmost in customization and performance, there’s really no question of what to pick. They’re hosting plans range from a scant $150 a month to upwards of $700. However, there are far too many options and plans of us to lay them all out here, so we’re going to give you a brief rundown. Firstly, if you want Windows or Linux, you can have either. Furthermore, you can get both with your choice of processor, with an noticeable increase in cost, of course. Keep in mind that each of the plans we’re mentioning can also be managed or unmanaged depending on what you prefer. Lunarpages is completely capable of keeping your data under lock for you. From there, you can also obtain high-performance, mega, and strictly managed hosting to meet your needs. And with one of the best tech infrastructures we’ve seen with any hosting provider, you can rest assured that you will have 100% uptime. Yes, we said one hundred percent. Lunarpages are very serious about their performance, and we have no doubts that they mean what they say. All in all, we’re a bit surprised to say it, but Lunarpages may actually be the best place on the Net to have your site hosted via dedicated server. As we mentioned a bit earlier, Lunarpages also offers a plan that’s custom-tailored to the needs of those who simply want a custom-named email account to use for their business. If this is you, and you’re looking to save a bit of cash in the process, you’ve come to the right place. eMail hosting plans with Lunarpages cost only $10.95 a month, and come with a full 30-day money back guarantee to tie off the package. You’ll also get full Microsoft support for your business, which comes as a tremendous boon. Plans with Lunarpages start at $19.95 a month with the option to buy additional storage later, which is a tremendous way to do things. Furthermore, the technology behind the plans is perhaps some of the best we’ve seen anywhere. With the plans, you’ll also get unlimited email accounts and emails, eCommerce support, and built-in bill management. All in all, it’s a solid way to go in our opinion, but don’t take our word for it! Give them a good looking over and let us know what you think. With all of that out of the way, it’s about time we mentioned that Lunarpages isn’t just a wide-ranging hosting provider. They also offer a lot of quality IT solutions to help your business. For example, they will gladly search engine optimize and search engine market your site for you, if you should request it. Additionally, they will also help you out with payment processing to help get your online business running and flying high. And finally, the offer something called the TremenDesk help desk, which is simply one of the best help desk solutions available anywhere. And all of this arrives at your door with quality technical support and assistance, guaranteeing a smooth installation. Here’s where we usually breakdown the technical assistance available to you with the web hosting provider of the day. With Lunarpages, this is a particularly easy affair. You see, they offer full email support, as well as a ticket system to get to your problems quickly. Or if you’d prefer, you can also give them a call anytime of the day. If that’s not enough, they also have a full-blown Wiki page for you to browse through, including more than 429 guides to common problems. And, if you’re feeling particularly chatty, you can check out the user forums to look for simple solutions to common problems. All in all, we have no doubts that you’ll be able to find a speedy answer to your sticky situations with Lunarpages. At the end of the day, we’re all quite blown away by what Lunarpages has done within the web hosting industry. They offer stellar plans with lots of features, as well as prices that are simple to understand and competitive on the market. Not only that, but they seem to offer a unique dedication to a professional and simple experience that benefits you, rather than causing you headaches. Not to mention offering the fullest roster of dedicated options we have seen anywhere. Still, we encourage you to always check out the user reviews submitted to this site before signing any papers! And we also suggest you check out some of our favorites hosts first, like Web Hosting Hub and InMotion Hosting. Both are quality options, and will never steer you wrong. INTEL® CORE 2 QUAD $145.00 /mo. DUAL INTEL® XEON® QUAD CORE $175.00 /mo. 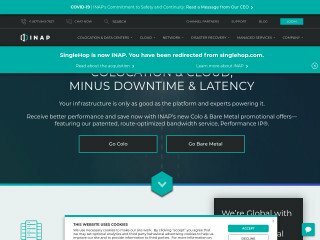 DUAL INTEL® XEON® HEXA CORE $825.00 /mo. 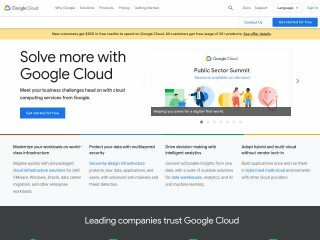 Scalable Cloud VPS Hosting $44.95 /mo. I've been hosting with Lunar for 10+ years now. Over the past couple of years, they've upgraded their servers, hired some great tech support reps and are a solid host with great support. A few years ago, I did see a dip in quality but they have addressed and rectified those issues. They have always recognized me as a long term client and taken care of me. I will always recommend them to my clients. We have recommended LunarPages to numerous people and never had a complaint come back. The range of software included is unsurpassed. Every question we've ever gone to support with has been answered, and by real live people. They don't do the whole "send in a email ticket and we'll get back to you . . . " that's so popular in the industry. The downtime has been basically non-existent. The price is great. The tutorials are comprehensive. What more could we ask? Tienen un servicio a la medida y al presupuesto que uno requiera. Súper recomendable. Usamos el servicio desde hace más de 10 años. The tech really helped me understand my VPS environment. He spent a long time answering all of my questions and making good suggestions on keeping my VPS healthy and fast. And, of course, he easily solved the issue I called in for! I am very happy with my LunarPages VPS--which has had excellent uptime (often 100% each month), and speed. 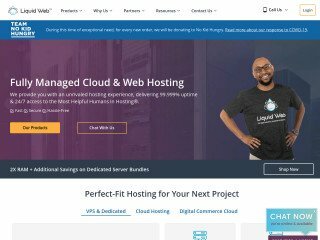 I cannot comment on shared hosting, but if you are wanting to get dedicated expert customer support, high speeds, good hardware, and uptime at a good price, LunarPages is excellent for VPS or cloud services. Lunarpages has been great for me and my team and they are great on support.. Very satisfied. I have been with Lunarpages for over 15 years with hosting 4 different sites and have nothing but good experiences with them. Uptime has been exemplary, and their support team is fantastic. They are very responsive and helpful. My site runs PHP and they have helped the few times I have had issues after a PHP upgrade. I am with Lunarpages since 2005. 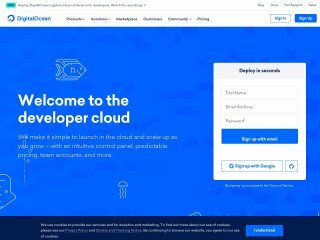 Hosting over 20 domains. Nothing to complain! I've been using Lunarpages for more than 15 years. Overall, they deliver peace of mind. I feel I'm paying a fair price for that and virtually 100% uptime. Their Dedicated support is worth every penny, especially now that I have my own server. Nothing's every100% but Lunarpages really works to make everything work, even when it might be fixing one of their own mistakes. The support team is unfailingly professional, efficient, striving to deliver the best service and support possible. What more could you ask? Thanks for such a fabulous review Lydia! JD actually remembered me and my issues. He was able to quickly assess what I needed and was happy to assist. Thanks Catherine! We will ensure that JD sees your wonderful feedback. I've been with them since 2006, but am now shopping for an alternative. Reasons: 1) They interfere with email by doctoring all my outgoing emails by inserting "Do not trust this link" type tags on youtu.be addresses inside my email ... there's nothing in their terms of service that gives them the right to alter my private outgoing email (one of my clients freaked out over this). 2) They violated their own terms of service again by suspending all my sites without notice. The issue related to out-of-date software installs (Wordpress, MediaWiki, and Gallery III), all of which are valid concerns. But instead of asking me to fix them, they just disabled EVERY one of my sites, even if they were running up-to-date software (again, causing a problem with a different client). They didn't fess up to taking this action even after I contacted technical support, but it slipped out later during a support chat hours later. Their terms of service require notice before suspension, and they didn't give it. So ... avoid at all costs unless you don't mind the fact /you're/ bound to the terms of service, but /they/ apparently aren't. I've asked them twice to explain themselves, and they just ignore me. That's my reward for 12 years of loyalty. Mark was my tech support rep. He did a FANTASTIC job helping me with 2 issues. One was redirecting 3 new domain names I recently purchased. I couldn't have done it with our Marks help as the website has changed and how the redirects are done was changed from some years ago when I last did this ! BUT the most amazing issue that Mark resolved that has been going on for 3 years...some of my emails were coming into round cube but not my squirrel mail and vice versa..they were getting split up into the 2 email servers - instead of coming into both servers. I have called 6 times about this over the past 3 yrs and no other tech was able to resolve the issue. Mark had it done in about 5 minutes ! He deserves an AWARD or even a TROPHY ! Thanks again Mark ! You have finally come to my rescue and saved me time and aggravation ! BTW I have been with Lunarpages for approx 20 yrs ! He is the best I have had for tech support reps ! Thank you for the great review! We appreciate it. Thank you Roger for the great review! Richard is the most helpful tech support individual I have had in all my years dealing with lunar pages. He made me feel like a valued customer and he made everything easy. My websites were suspended for 5 days. I have used standard shared hosting for 14 years. Lunarpages suddenly suspended my 4 websites and emails for 5 days saying that one site was infected by malware. It advised me to order managed hosting service. I transferred all websites to siteground.com and I have not had any problem so far. Please email us at feedback@lunarpages.com so we can further look into this. I'd love to write about the past, but that wouldn't help any potential new customers. You see, I used to love this hosting company, and stood behind them whenever anyone I knew spoke poorly of them. However, in recent years, the company has changed dramatically. They changed some software at the beginning of the year which rendered my site inoperational, and their tech support department danced around answering questions about it for the better part of 3 months. Eventually I was told they had ceased to support Perl's FCGI support in favor of handling multiple versions of PHP, and that I would have to move to a VPS. Upon checking current prices, I learned that their VPS prices were extremely high, so I went to another company. Upon attempting to cancel my services, I was also informed that they would charge me a termination fee, as my renewal had occurred during the period that I was waiting a week or longer for each response from their support department.. An error on their fault caused me to have paid for a year's remaining service that I was not going to use, and I was informed it was my fault for not notifying them sooner. Also worth noting, I had contacted their company 2 months prior to request information about cancelling, and they had forwarded me back to the same support department. I am also concerned that several of their support technicians also did not seem to understand the differences between PHP and Perl, and repeatedly insisted that my Perl scripts should be run through the PHP interpreter. Lastly, I am uncertain of the reliability and uptime.. I did not notice a lot of down periods, but I DID notice that even when the server was down for scheduled upgrades, their "server status" always showed it was being "online".. Dishonesty isn't good in business.. I used to think the world of them, but I do not recommend them to anyone anymore. Rottweilers Reign Supreme (the first Rottweiler domain in the world). As usual, tech support has been always, polite, courteous and resolves my issues. STAY AWAY. Ten years ago Lunarpages was fine. Over the last few years there have been constant issues with their servers getting flagged as spam (literally a few times a year my emails all get bounced back from their destinations saying the shared server they're hosted on has been blacklisted - it usually takes a few days for Lunarpages to resolve). And now this finally takes the cake: I haven't been able to send emails from my Lunarpages-hosted sites - any of them - for TWO WEEKS. FFS. I originally had opened a ticket on April 16. That's been completely ignored for TEN DAYS after one unhelpful attempt at troubleshooting. Crickets, even though I only followed up once (support's auto-generated message warns that tickets will go to the bottom of the cue if you reply). So I opened up a ticket on April 22. Crickets. I haven't gotten a response in FIVE DAYS, though I only replied once to answer a tech's question the same day. I can only assume that ticket has also fallen into the void since it's been five days. In the meantime, not a single one of my domains - and there are multiple - is able to send email out. I send emails (have tried my phone, different computers, different email clients), they look like they send properly, but no one gets them whether they're on Gmail, their own domains, Yahoo, Hotmail, or anything else (they're also not making it even to spam folders) - and I never get any kind of bounce message. I'm beyond done. I just replaced my old website with a new one. Normally my developer does this. He wasn't available, but I wanted to learn how to do it. Being a newbie at this (and a worrywart), I dealt with 5 different members of Lunarpages' support team. Each was responsive, highly professional, pleasant and knowledgeable. Thanks to them, my new site is now live. This was the best support experience I can remember. If I could give 10 stars to each team member and Lunarpages I would! My experience has been terrible with this group - from hopeless technical support to weeks of being unable to use my business email because of problems at their end with spam etc. Do not use them - they are expensive and inflexible - and getting worse! I serve as my company's developer-- which is not saying much. So I place a large premium on customer service. James is one such rep at Lunarpages. Patience, friendliness, and knowledge.